Custom fit your car with a Kenwood navigation system including Apple CarPlay. These systems come with built-in Garmin European navigation, Bluetooth hands-free calling and music streaming, Spotify direct control, DAB Digital Radio on selected models and connectivity with your iPhone (5 upwards) with Apple CarPlay. Also models with WebLink allows apps like Waze and YouTube to play on the system. Our 2018/19 range of navigation units have the option to link the DRV-N520 dash cam to the system. This allows a 2-way link for display & operation on the Kenwood navi system. 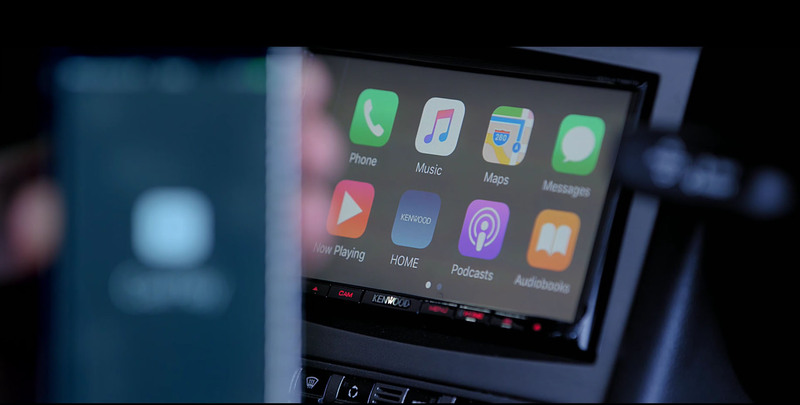 Watch Apple's CarPlay at it’s best! See why you can’t live without connectivity.